I remember paddling for my first wave in Swakopmund, Namibia. The water was a little colder than I’d expected, but that wasn’t the biggest surprise. What was truly jarring, so much so that I felt short of breath, was that I was totally alone in the ocean. Dozens of peeling left-handers rolled in, with no one to ride them but me. Seagulls wheeled overhead and three locals stood clustered on a nearby boardwalk, but I had the lineup to myself. I rode that first wave down the line—carving its face, before popping off the back like a champagne cork—then raced back out for another. Before I could make it more than a few paddle strokes, I started to giggle. It was the giddy laugh of a man who felt like he’d unlocked a secret and, in many ways, I had. I’d found a country that’s somehow managed to stay under the mainstream tourist radar. A place where you can surf solo, snack on kapana (the ultimate grilled meat street food), and sandboard with locals in the span of a few hours. 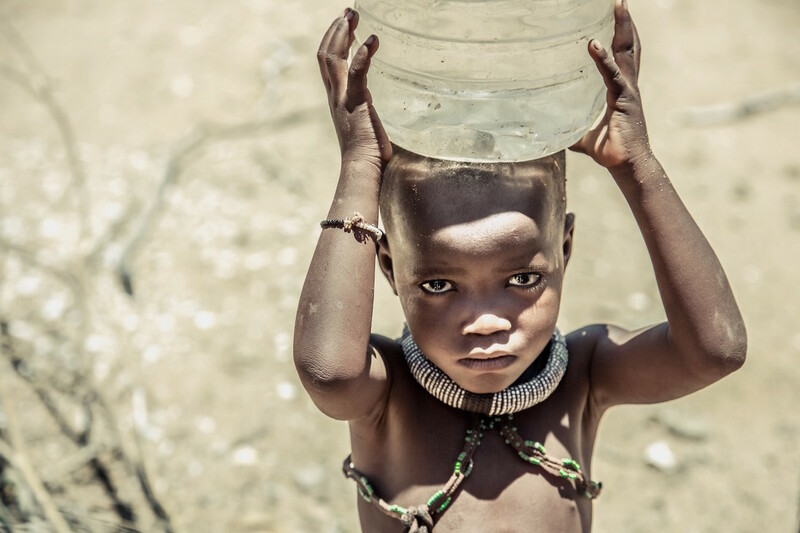 “Swakop” is a diverse, eclectic town where local Namibians, tourists, German expats, and people of the Himba ethnic group mesh together with little trouble. It’s as cruise-y as any island haven and the locals are friendly and welcoming—always eager to show off their home. It’s also a backpacker adventure haven on par with Christchurch, New Zealand and Jeffrey’s Bay, South Africa. Sandboarding down the towering dunes that line the coast has become an easily hashtag-able activity and is, more importantly, enormous fun. Sure, it seems tourist-y, but anything that elicits smiles this big ought not be avoided. 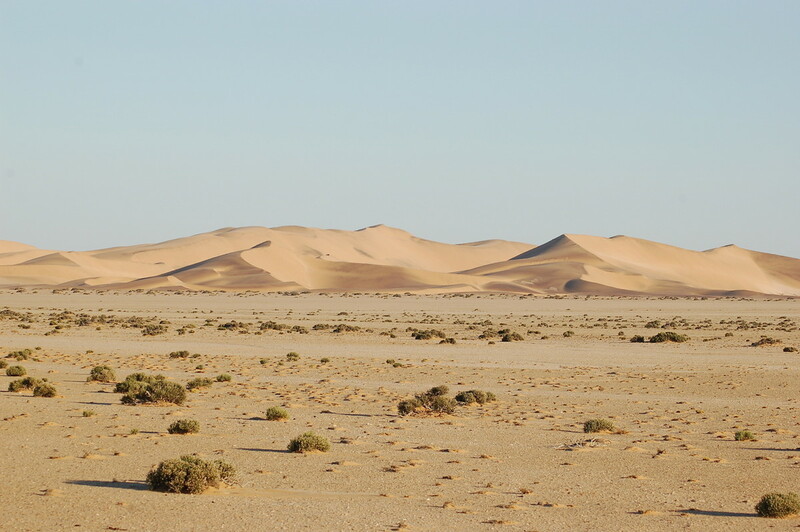 Namibia has plenty of desert. In fact, when you see a red desert in a movie, you can bet that the 2nd unit made a trip to Namibia. 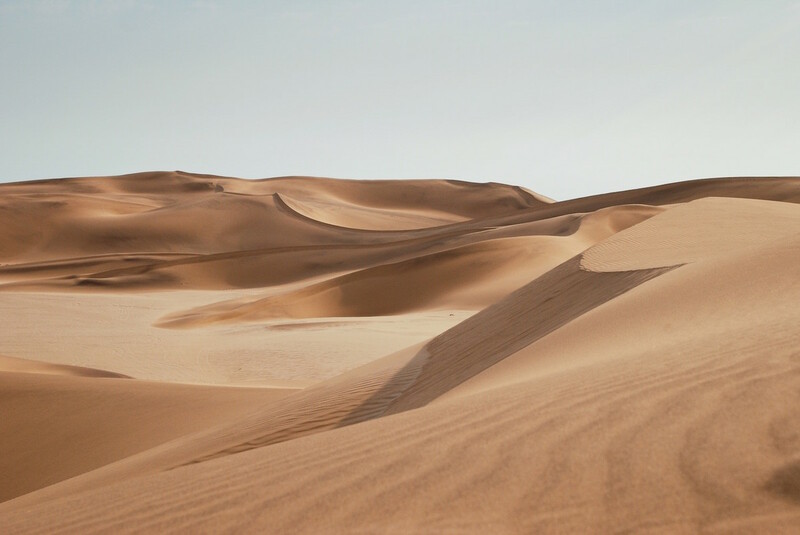 You can’t blame Hollywood for making the Namib their go-to filming spot, these are some truly striking dunes. 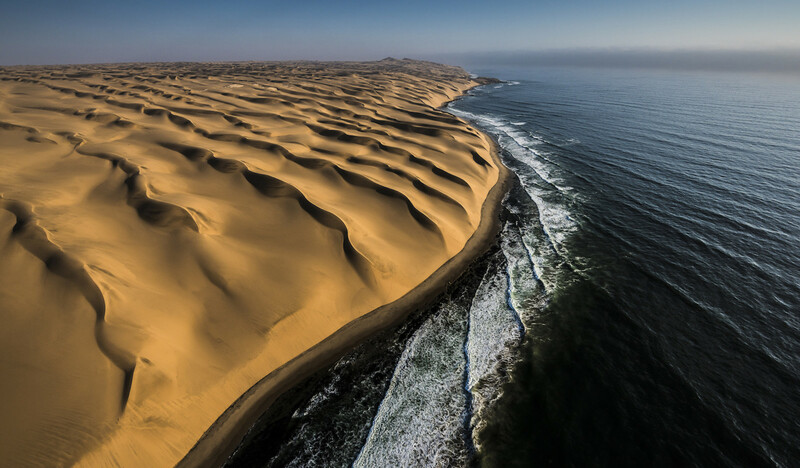 For an adventurous traveler, the Namib Desert is the ultimate exploration—incredibly vast and epically scenic. To the south, the salt and clay pan of Soussusvlei makes for 1st rate Instagram fodder. The dead trees that stand up from the salt flats are absolutely striking. Conservation stands out among the many “Namibia success stories.” The nation has shown a consistent commitment to conservation and the effort has absolutely paid off. In fact, wildlife stewardship is written right into the country’s constitution. Article 95 of the document is a vow to preserve local ecosystems for the benefit of all Namibians. The nation’s protection of cheetahs is particularly impressive. In fact, Namibia has the largest cheetah population on earth and you can learn to track them, help protect them, or volunteer with orphaned cubs. 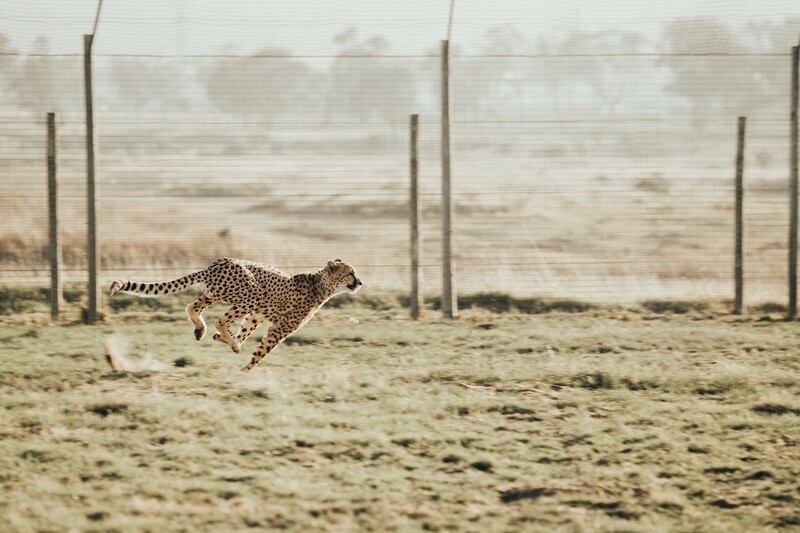 The cheetah is like a sports car—finely tuned, shockingly fast, and easily damaged. As such, it’s quite possibly the most fascinating animal on the planet. Sometimes travel is about finding off the beaten path gems and sometimes it’s about fully embracing something that feels a little gimmicky but unarguably awesome. 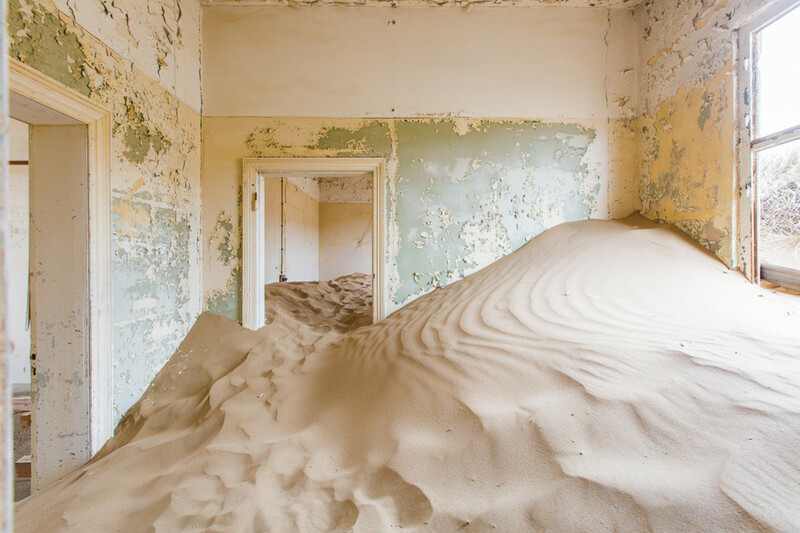 The ghost town at Kolmanskop is somewhere in between. The town was once a thriving diamond-mining outfit, but it was abandoned in the 50s. In the years since, the desert has reclaimed the buildings, swallowing many of them right up to their roofs. As such, it’s a favorite of photographers everywhere. Kitschy? Yes. Awesome? Undeniably. Namibia was a German colony from 1884-1915. That relatively short period has left a big imprint on the country, often visible in incredibly quaint ways. Your road trip through Namibia may include German road signs, architecture that seems like it’d fit better in the mountains than the desert, or the offer of schnitzel on the menu. Feel free to enjoy these charms. 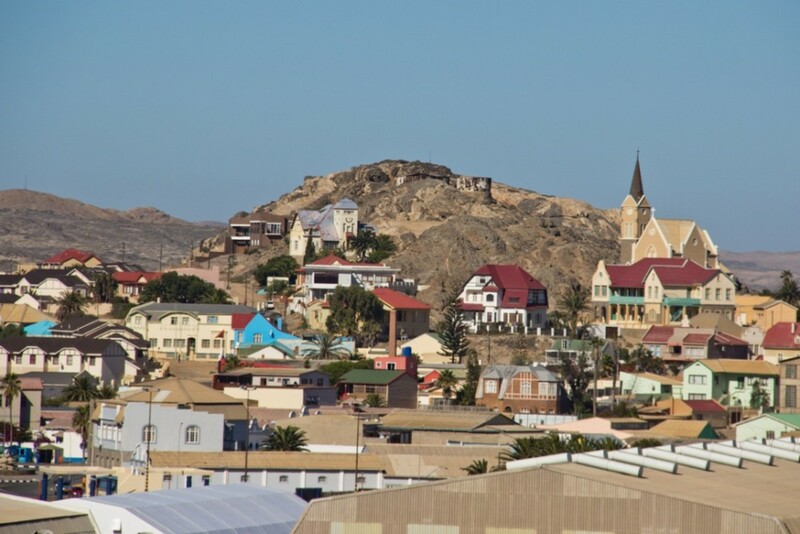 The process of Namibia gaining independence was relatively easy, compared to most of Africa, and tensions between Germans and Namibians are low. In fact, the German language is still recognized as a minority language group. The Himba people of Namibia are certainly one of the most distinct looking ethnic groups on the planet. The people use otjize paste—made of clay and butterfat—to tint and perfume their skin. While this effect is certainly striking to the eye, cultural respect is paramount. 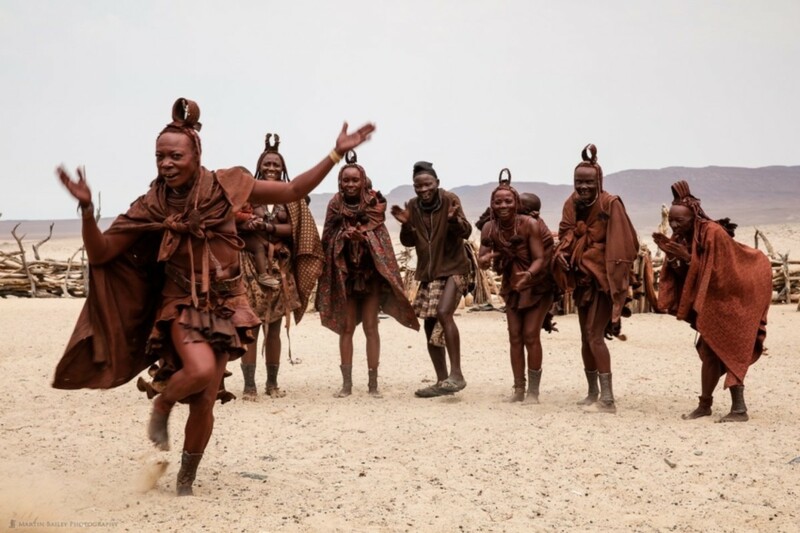 Still, the Himba are not shy and are happy to engage in conversation about their way of life. If you’re visiting, do your best to find an outfitter that filters money back to the indigenous community. Remember that story I told in the beginning? And the three friends crowded on the boardwalk? Well, they were waiting for me. They were all men, my age, who just wanted to chat and learn about surfing. 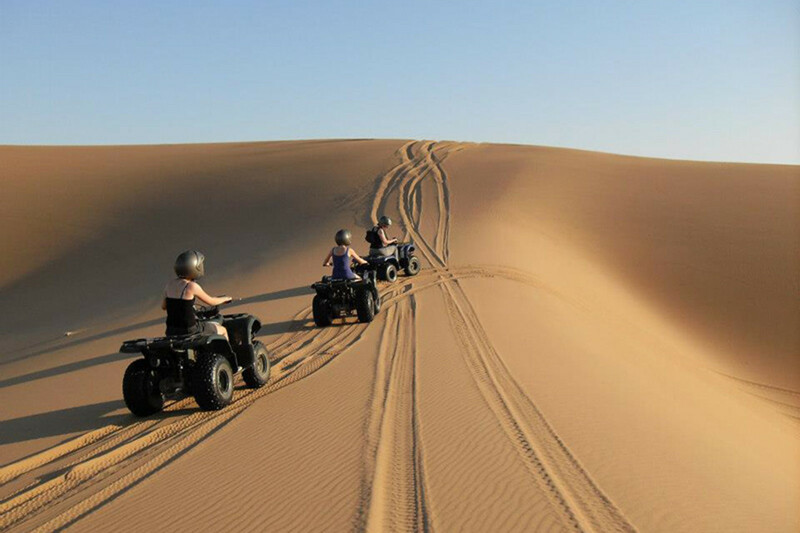 We grabbed dinner, they introduced me to a group of Himba men and women, then we went sandboarding. In 2018, it’s easy for tourists to be skeptical about something as simple as friendship. Sometimes what seems like a simple interaction turns into an awkward financial transaction. That wasn’t my Namibia experience at all. As a solo traveler, I was welcomed by friends, invited to dinners and drinks, and given expert travel advice. As with so many travel destinations, it was the landscape that lured me, and the locals that made me want to stay for a while.